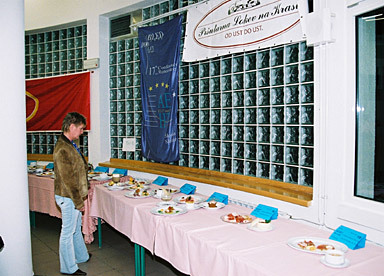 Thanks to the meticulous organisation and probably also thanks to the existence of the CAT, in general terms the competitions took place in an excellent atmosphere and in equally excellent conditions. 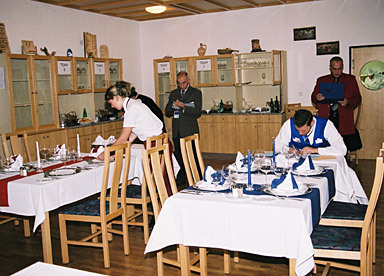 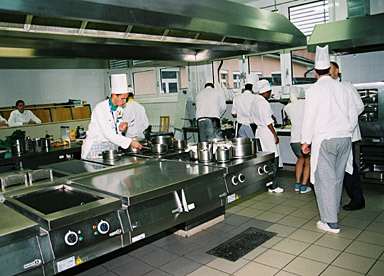 The Reception and Tourism Promotion competitions took place at the Bled School, while the Food Service, Cookery and Pastry competitions took place at the Radovljica school, six kilometres away. 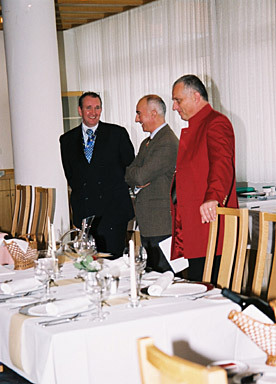 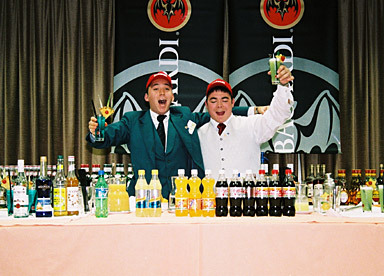 The Bar competition took place in the Toplice hotel.. 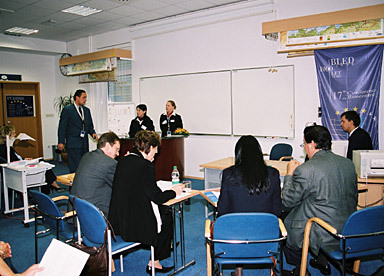 Both during the pre-competition briefings and during the competitions themselves, the usual throngs of students, competitors and teachers were sometimes difficult to control, and in some cases a strict approach was required to establish a semblance of calm. 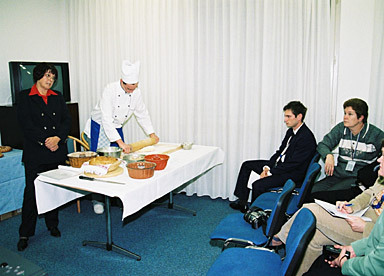 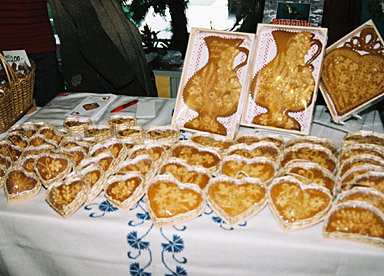 But in addition to the competitions, the organisers had also planned various events intended to introduce food lovers to Slovenian specialities: at the Astoria hotel there were five different food workshops – two on the preparation of typical Slovene dishes such as ‘zlikrofi’, ‘potica’, ginger-bread or speciality dishes made with honey; each workshop consisted of an introduction, a description of the recipe, then preparation of the dish by a chef, followed by a tasting of the product. 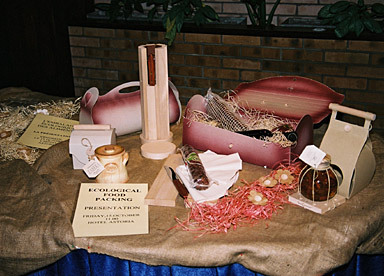 On a different topic, the fifth workshop was devoted to the ecological use of paper and wood. 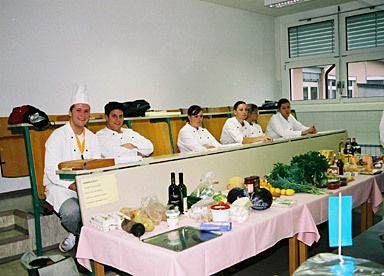 The participants attending these workshops found them fascinating, much better than books as a means of discovering Slovenia’s culinary arts.